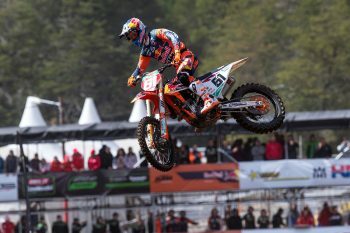 Shoulder injury sidelines Red Bull KTM teenager ahead of Matterley Basin. Defending MX2 world champion Jorge Prado has been ruled out of this weekend’s British grand prix at Matterley Basin after injuring his shoulder in training. 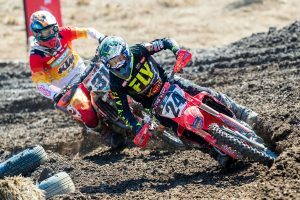 The 18-year-old Spaniard won both motos in Argentina’s opening round, however an incident a fortnight ago has become more severe than initially expected. “After such a strong start to the season for the team and Jorge it is disappointing for everyone that he and Jeffrey [Herlings] are now missing Matterley Basin and the first European round of 2019,” said Claudio De Carli, Red Bull KTM team manager. A detailed medical examination in Belgium revealed a haematoma under the left shoulder blade was causing the discomfort experienced while he tried to continue training. 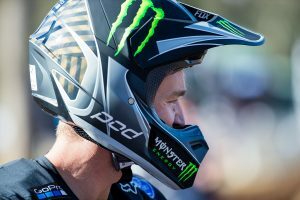 He’s now been advised to rest and will potentially return for Valkenswaard.